Kapogiannis Tours took us to Metsovo to see a way off life that is now history. The Tositsa’s Museum is a priceless historical monument to one of the great Epirus merchant’s whose wealth helped form the Greek nation. The Tositsa family lived in Metsovo in a traditional way. The mansion was built in 1661 and renovated in 1954. No plumbing or bathrooms. 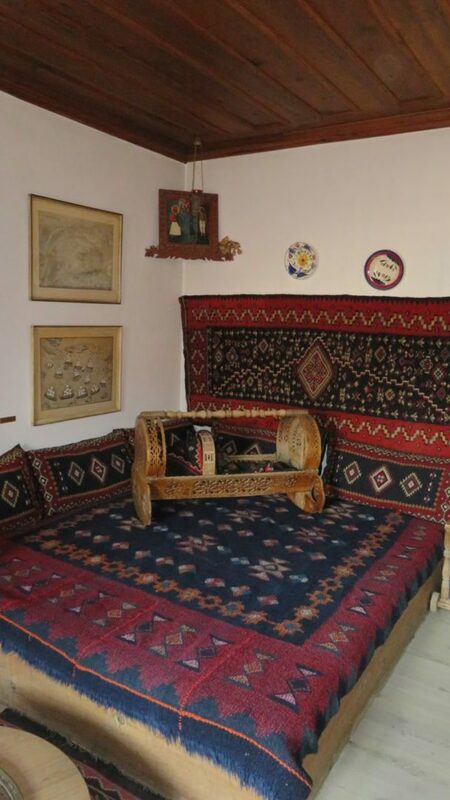 Fine carved woodwork, bright rugs and linens, and hand carved Vlach furniture decorated the interior. I noticed one item: GUNS. They were everywhere on the walls. Tositsa was a tough, no- nonsense family, with courage to protect their own. One can help but admire persons with toughness in an age of political correctness. 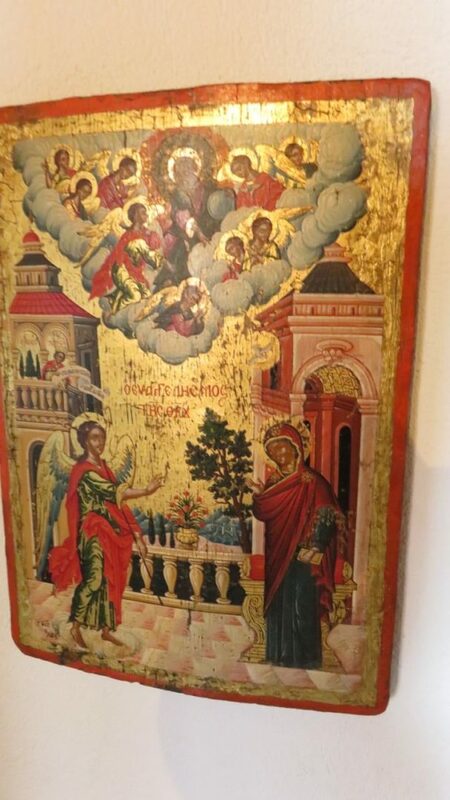 Cretan icons of the Cretan School Byzantine era from the 1650’s was hanging, Guns and icons were part of life. We were the first group present at 9 a.m. Our guide was Thothoros an educator, who gave life to his narration. 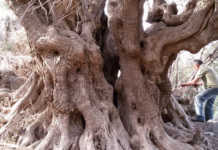 The Tositsas family were Epirotan immigrants who amassed large fortunes. They gifted their wealth to the Greek nation either to fund the armed struggle against the Ottomans or to provide valuable structure for the creation of a new State. Epirotan Benefactors rebuilt Greece. The museum is maintained by the Baron Michael Tositsas Foundation. Baron Michael Tositsa (1885–1950) was the grandson of Konstantinos Tositsas, one of the younger brothers of the National Benefactor of Greece, Michael Tositsas. 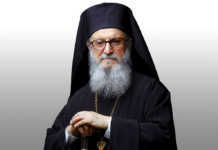 Although he did not maintain relations with Greece, he was convinced, after years of correspondence and personal meetings with Evangleos Averof, to establish a charity foundation in order to help his homeland. The Foundation was established in June 1947 under the name “Foundation of Baron Michael Tositsas” and its main purpose was the development of the greater Metsovo area, from where he originated. 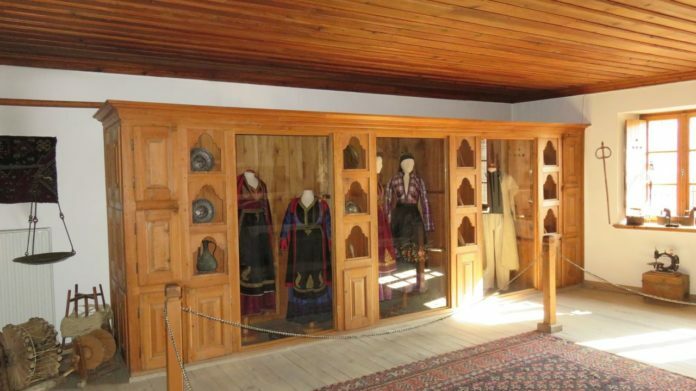 The Foundation funded the refurbishment of his ancestors’ house in Metsovo, which today is a folk-art museum, as well as the reconstruction of the town’s elementary school which had burned down in 1947. The Foundation also funded the construction of a hospital, a sawmill, a creamery, a gym, a ski center and many other public benefit and development projects. Furthermore, the Foundation funded the completion of more than 107 schools in Epirus as well as the construction of a student dorm in Kato Kifissia (Athens suburb) for university students from Epirus.1A museum that shows a way of life that is vanishing. The Heritage Museum of Epirus on 2514 Broadway, Astoria, NY, has similar exhibits of the life of the Epirus nation.